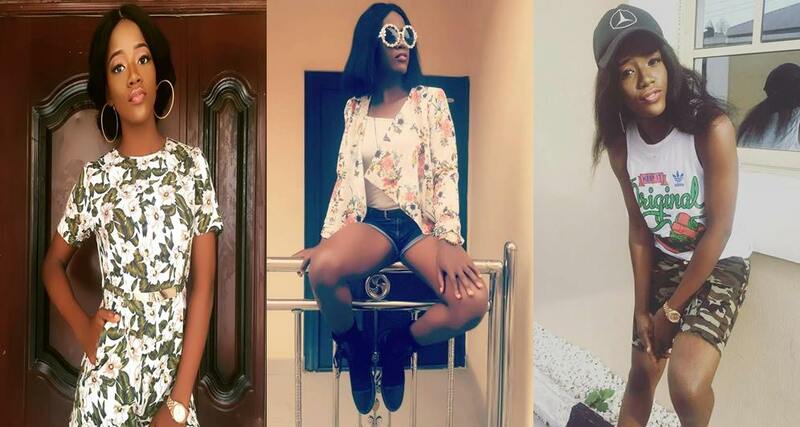 A beautiful Nigerian lady, Ogbonna Rita Prudent Chinwendu who turns 20 today has taken to her Facebook page to list her achievements . According to her, she got admission into the university at the age of 15, four years later she graduated aged 19. Soon after graduation, she got a good paying job in Lekki, and as she turns 20 today, she has gotten an apartment of her own. Rita says she is now getting ready to go for NYSC. Love that superceeds all other loves !!! At Age 15,I was admitted into a higher instution.As young as I was,God saw me through. Good grades became my surname!!! At age 19 he made me a graduate with flyng colors as my birthday gift. And now,at age 20,he has given me an apartment as my birthday gift! Mama got my backBeautiful Nigerian lady lists her achievements as she turns 20? 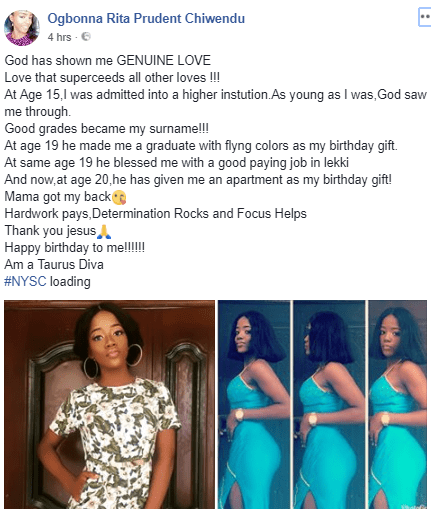 Thank you jesusBeautiful Nigerian lady lists her achievements as she turns 20?